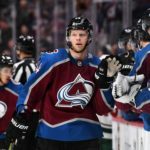 Nathan MacKinnon knows they have to get in the playoffs first, but the MVP candidate thinks the Avs have a legitimate shot at the Cup once there. 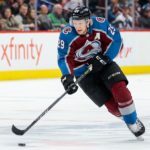 MacKinnon is beginning to pile up the honors as he's became a Hart Trophy contender for a rapidly maturing Avalanche squad. 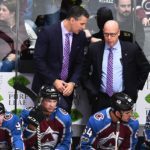 This week's Avalanche Talk looks at the headlines and pivotal pieces in the Colorado Avalanche's ten-game win streak. Colorado Avalanche forward Nathan MacKinnon is doing more than just putting together a stellar season. You can't take your eyes off the star of the Avs' resurgence. 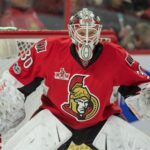 Newest Colorado Avalanche goalie Andrew Hammond awaits his first start, but has enjoyed his time with his new team. If Matt Duchene stays, he must be part of it too. 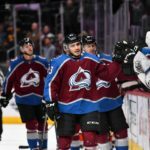 As the Avalanche got younger and faster, and veterans departed, it heightened the obligation for the long-identified six-man core to lead ... in every way. 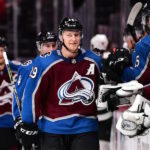 John Elway attended the Nuggets-Suns game Wednesday night, kibitzing with Rocky and sitting near Governor John Hickenlooper and injured Avalanche defenseman Tyson Barrie. 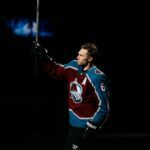 If he had waited a night and gone to the Avalanche game, or penciled in attending another hockey game soon, he could compare notes with Joe Sakic. 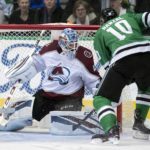 In Saturday matinee, the Colorado Avalanche extended their win streak to nine in a victory over the New York Rangers. With Semyon Varlamov again out at least through the All-Star break, the challenge is for Jonathan Bernier, 29, to not only be the No. 1 ... but continue to play like one.